We advocate to SOLVE bilingual issues that most concern you! 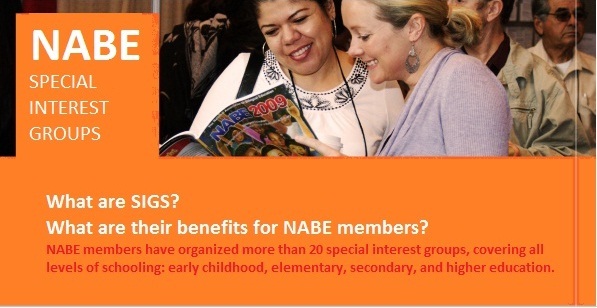 NABE members have organized more than 20 special interest groups, covering all levels of schooling: early childhood, elementary, secondary, and higher education. Some focus on roles within the profession: teacher, paraprofessional, parent, research and evaluation, and policy makers. Other SIGs are devoted to the education of special populations or interests, such as Asian/Pacific Americans, gifted and talented, instructional technology, teachers as researchers, Native American bilingual education, special education, and world languages and cultures. Any group of 25 NABE members may petition the NABE Executive Board for authorization to form a SIG. Once approved, SIGs are given certain responsibilities and benefits. 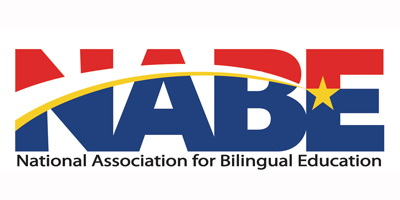 Among the responsibilities are organizing an academic session (either a half-day or full-day Institute) and a Business Meeting during NABE’s annual conference. In addition, the SIG Chair is invited to report to the NABE Board on important trends and issues that concern the SIG, as well as resolutions for action. SIGs are also encouraged to submit articles for the NABE News and other NABE publications.